We have a fantastic selection of villas in Orlando to choose from, all located just 5 miles from Walt Disney World's main gate! Our range of privately owned rental homes vary in size from 3 to 6 bedrooms, as well as many coming complete with pools, games rooms and spas! Because the villas we work with are privately owned, you can be sure that they are as well looked after as your own home! for a vacation to suit the whole family, look no further than one of our vacation stay rentals where you can combine the peaceful tranquility of the golf course, with fun for all the family at Disney World! We have a wide choice of fully air-conditioned 3 and 4 bedroom villas varying in size from 1850sq ft to 2400sq ft, with 2 or 3 bathrooms, free WiFi and screened private pools. In addition, many of our Orlando villas come with games rooms, or even a spa! All located perfectly for a game of golf and just 12 minutes from Disney World's main gate. Choose from our selection of fully air-conditioned 5 bedroom Disney Orlando villas, just 12 minutes from Disney Orlando and ranging in size from 2400 sq.ft to 2800 sq.ft with 3 to 4 bathrooms. Free WiFi and private swimming pools! Plus, many of our villas come with extras that will make your stay even more special such as games rooms, spa's or even hot-tub's!. If you’re looking for a comfortable vacation home that can sleep up to 12 people, our selection of fully air-conditioned 6 bedroom villas are just 12 minutes from Disney World! Ranging in size from 2800 sq.ft to 3200 sq.ft, have 3, 4 or 5 bathrooms, free WiFi and your very own swimming pool. Plus, many of our beautiful villas come with extra’s such as games rooms, spa's or hot-tub’s. Create your perfect golf vacation with Highlands Reserve, allow us to advise you on the best Orlando courses from our own expert experience and design a package especially for you with a beautiful vacation home that comes fully air-conditioned with all the mod-cons, including free WiFi and a private pool for your enjoyment! With our expert knowledge from almost 20 years of satisfied customers, we can tailor your vacation perfectly to suit you! 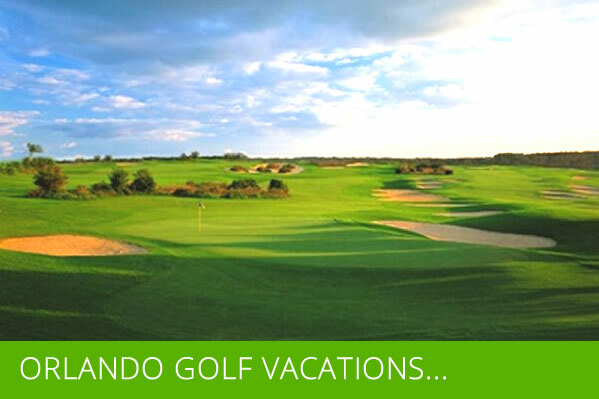 Stay in our Orlando golf villa rental homes and play discount golf at Highlands Reserve golf course, or customise your Orlando golf vacation package to golf at 60 other Orlando golf courses! Why book with Highlands Reserve Villas? There's so much for you to see, do and experience here in Orlando, Florida! From a magical experience at Walt Disney World to a hot air balloon taking in the stunning sunrise, there's plenty to see and do to make your vacation unforgettable! Click below for some inspiration of what to see and do whilst you're here in Orlando!